It’s that time of year again, the 2nd Annual RuPaul’s DragCon is here—a two-day extravaganza eleganza dedicated to the art of drag. With a superstar-studded guest list and over 100 vendors, World of Wonder's DragCon 2016 is set to be even more gloriously glittery than before. 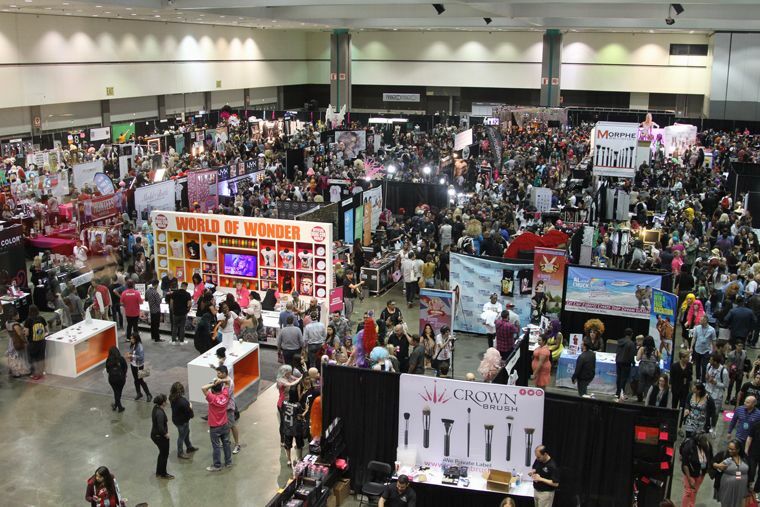 So hunty, you betta’ werk: get that wig on tight, makeup on fleek and stilettos padded for DragCon on May 7-8. To prepare for the party, we caught up with one of the country’s most influential queens. Sutan Amrull AKA Raja Gemini has carved out quite a name for both himself and herself. As a celebrity makeup artist, Sutan worked on America’s Next Top Model for nine seasons. 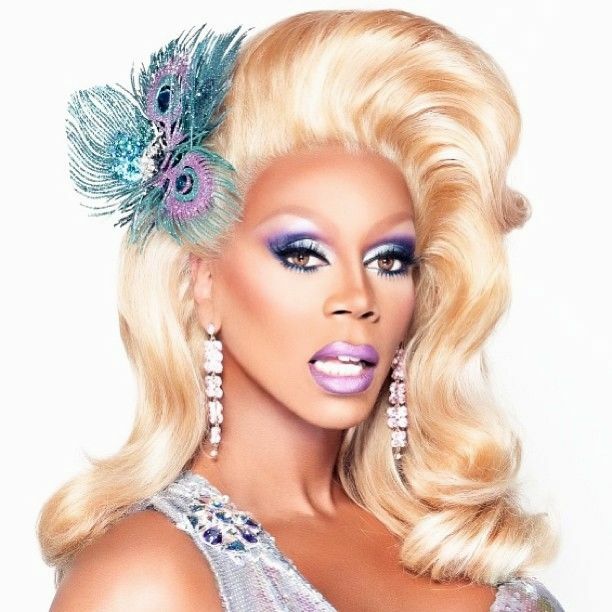 As Raja Gemini, she snatched the title of RuPaul’s Drag Race season 3 winner. What is your favorite thing about Los Angeles? Raja Gemini: Mexican food. The food is going to be great no matter where you go in Southern California. 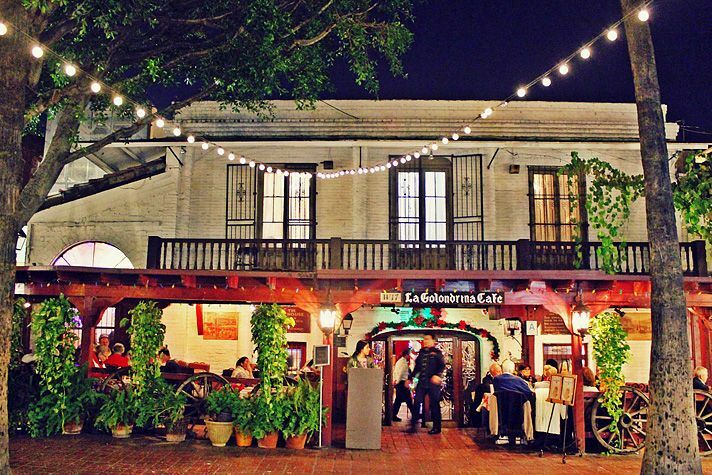 I like the experience and the ambiance of Mexican food. I love Olvera Street, I know it’s the most touristy place, but it has a nostalgia to me, going with my parents as a kid. It’s fun, it’s authentic and it’s delicious. Olvera Street in DTLA. Image courtesy of @discoverla. Tell us about your hood. RG: I live in West Hollywood. I know. That sounds really cliche for a gay man who does drag to live in WeHo. But, I moved here at a time when West Hollywood was still quite provocative, pre-internet—when there needed to be a closeness, a community of gay men and women together in one area. And over the years, I found that this is really my haven, my favorite place to be is home. West Hollywood. Image courtesy of @gayweho. Other favorite hoods in LA? RG: Now, as LA’s developing I’m discovering so many areas that are changing and some places I had forgotten about, I am rediscovering. Areas like Koreatown, or any area adjacent to downtown are really quite more exciting than what I am experiencing here in the quietness of West Hollywood … It’s mellowed out. West Hollywood used to be the party scene, now the only noise I am experiencing is the banging of construction as condos go in. DTLA is the new WeHo, it has that rawness. Precinct DTLA bar. Image courtesy of @precinctdtla, photo by @jeremylucido. RG: I like dive bars and more local spots. 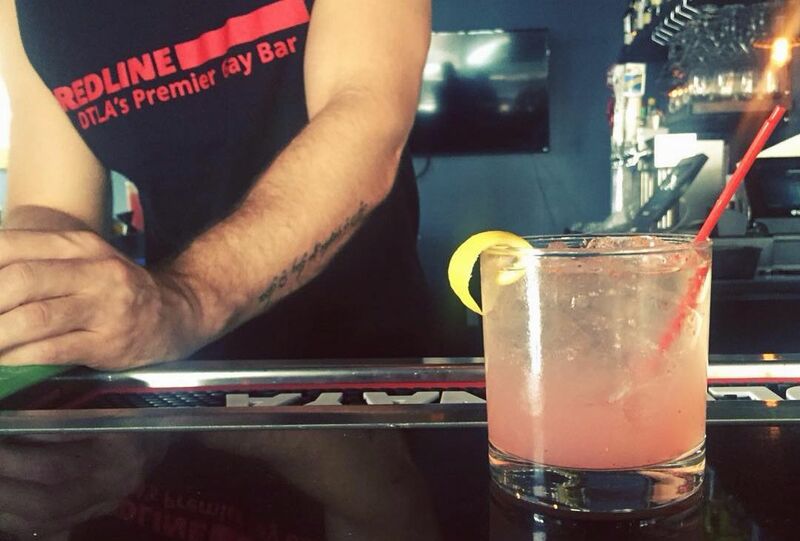 Places where I can get a cheap drink with a heavy pour and not feel intimidated by the veneer of LA, like DTLA’s Bar Mattachine, Redline, Precinct DTLA, or Gold Coast in WeHo. It’s just nice to be around real people and to be able to sit and have a conversation. I created the party here in West Hollywood, so now I just sort of let the kids do it. Dragalicious show on Wednesdays at Redline. Image courtesy of @redlinedtla. Best place to catch a drag shows in LA? RG: The Abbey is a great place if you’ve never been to LA. It’s one of the most famous gay bars in the world. The bartenders and waitstaff are beautiful, you’ll pay $14 for a drink. It’s that typical LA experience.If you really want to see good drag shows, Mondays at Micky's is awesome, or Hamburger Mary's which is where I usually end up, is great. I’m happy with a giant goblet of chilled white wine, a Blue-Boy burger and a bunch of drag queens running around. World's most famous gay bar: The Abbey. Image courtesy of @theabbeyweho. Least favorite place in LA? RG: The Beverly Center. It’s dreadful. It’s like a concert box in the middle of the city where you buy things with no windows. It’s LA for God’s sake—at least give us a skylight. 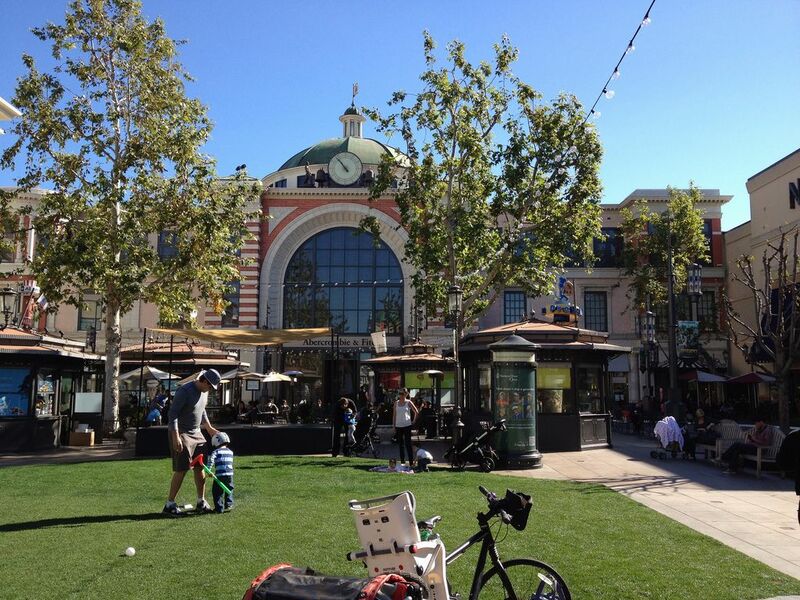 I like places like The Grove—places where you can see sunshine. The Grove. Image courtesy @davidjones on Flickr. Where to shop for Queens? 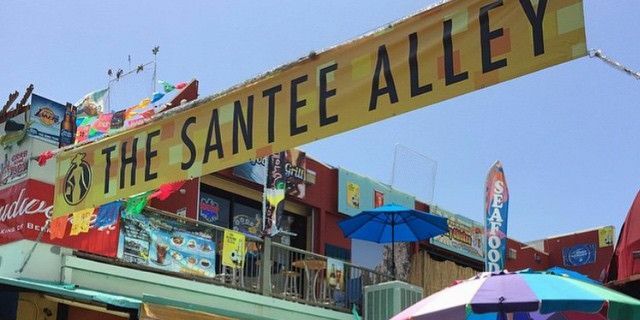 RG: Anyone that works in fashion or styling will know that Santee Alley in DTLA's Fashion District is the place to go. They have the biggest discounts and you can find anything there. For women’s shoes, stroll Hollywood Blvd or shop Amazon. The Santee Alley in DTLA. Image courtesy @thesanteealley. 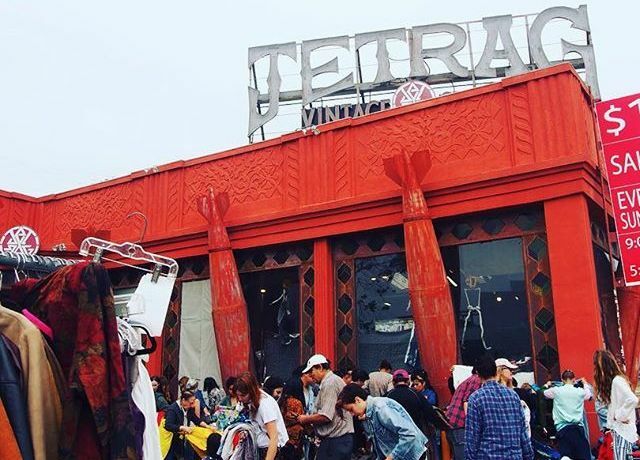 Favorite vintage and consignment shops? RG: I really like a lot of the vintage shops here. It’s known around the world that this is the place you go to for that. I’ve always loved places like Jet Rag and Wasteland, they have great vintage and consignment. I hardly buy anything new anymore. Everyday Sunday is dollar sale day at Jet Rag. Image courtesy of @drfashion808. RG: I would take them on a hike through Runyon Canyon, take your dog for a walk and see celebrities. It’s beautiful, it smells a little like dog-piss, it’s fun. And eat Mexican food—wherever. If I’m coming back from a club and we see a taco truck, we’ll just stop. They are always going to be good, wherever. 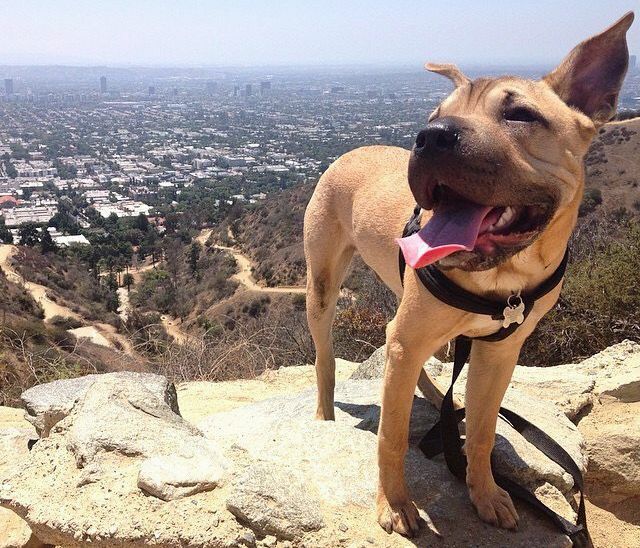 Runyon Canyon might be closed until July, but there's tons of other hikes to check out in LA. Image courtesy of @runyoncanyon. RG: There is no excuse for anyone in LA to do bad drag, you have everything here. You can go out at night in a mini-skirt and heels and call an uber. It’s convenient to do drag in LA. In NY, I never did drag for the two years I lived there. It was too inconvenient, standing out in the snow in stilettos waiting for a taxi. Plus, LA has more space, bigger dressing rooms, as opposed to NY, it’s much easier to get ready. And there’s a supportive, uplifting community here. Why has LA become the new hotspot for drag as opposed to NYC? RG: LA has become the hub, whether it’s because of Ru or the convenience. NYC never paid attention to queens who lip-synced. You always had to be a live performer to get the respect. It’s so concentrated on live performance. Not everyone can be a performer, in the end, queens just want to do queen things and the community here is not as competitive. Now drag is everywhere. It’s not just New York City or LA. It’s Seattle, it’s Chicago. But still, the people who want to make it big usually end up in LA. If you could change anything about the LA drag scene what would it be? RG: Be grateful to those who have paved the way. I didn’t grow up with tutorials, I didn’t grow up with the internet. No one really helped me. You just had to go out, pat yourself on the back and believe that you were the most fierce person out there. New queens say they are fierce, but they don’t even know who taught them to say fierce— I would just like to see them to be aware of those who came before and made it possible for them to do what they do now. RG: Check out my booth, I’ll be there both days. Oh, and as Bette Davis famously once said ‘take Fountain’ [Ave] to get there. You’ll save a lot of time. RuPaul at DragCon 2015. Images courtesy of World of Wonder. Alyssa Edwards at DragCon 2015. Herstory is in the making at 2016 DragCon. Queens like Laganja Estranja will make appearances from all seven installments of the iconic queer TV show, RuPaul’s Drag Race. 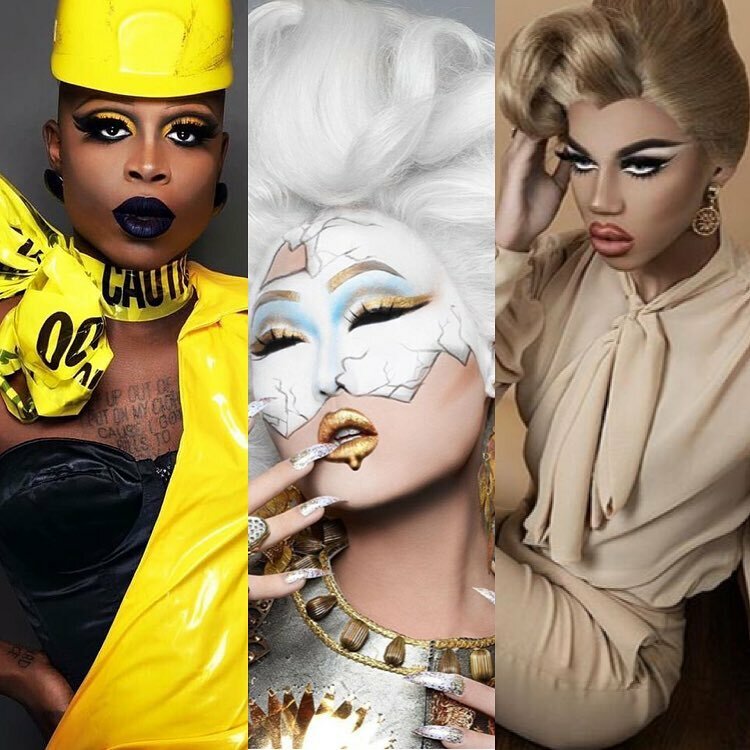 In addition to the 100 vendors dedicated to all things drag, the con will feature panel discussions and performances from across the queer identity spectrum as well as photo and autograph opportunities with the queens. Other queens slated to attend this year’s DragCon at the Los Angeles Convention Center include: Katya, Ivy Winters, Chad Michaels, Alyssa Edwards, Alaska, Tammie Brown, Trixie Mattel, JuJuBee and Detox — just to name a few. Tickets start at $30, get ‘em HERE, and don’t f*ck it up! Alethea Cho AKA Lady Lovesblood is devasted she's missing DragCon, but is there in shade spirit, no doubt. Follow her adventures on Instagram @LadyLovesblood or Twitter @Lady_Lovesblood. The world renowned gay bar has been around the block more than a few times and is still standing. 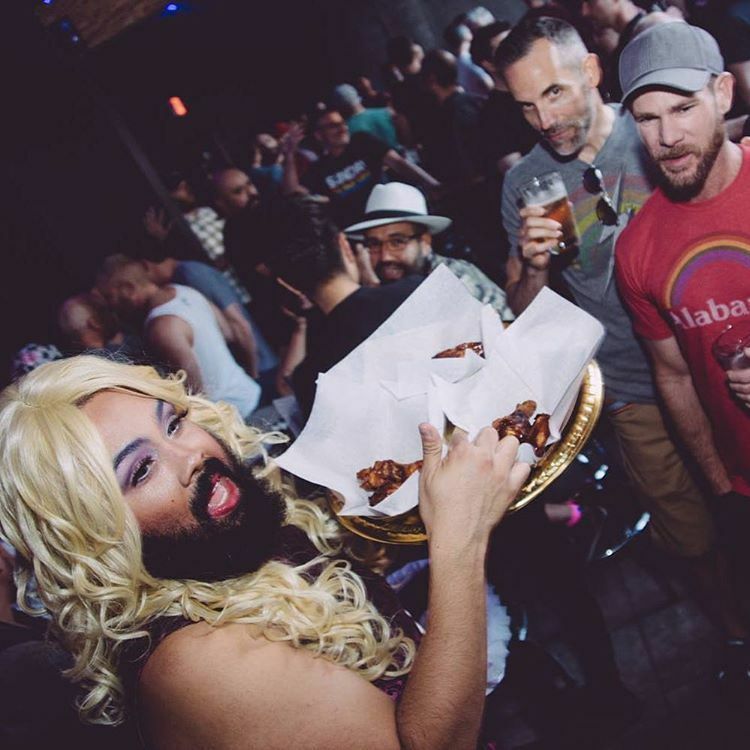 Having earned its honor as an institution, drinks, dancing, drag and half-naked, performing somebodies make The Abeey a veritable destination. Oh and there's drinks. Did we say that? Spacious, cop-themed gay bar with lively events offering cocktails and a small menu of American grub. Sleek bi-level (hehe) cocktail lounge with dark woods and pops of color for DJ nights and creative cocktails. Bumping gay bar and pub serves up classic bar bites plus a DJ spinning tunes in a large space. 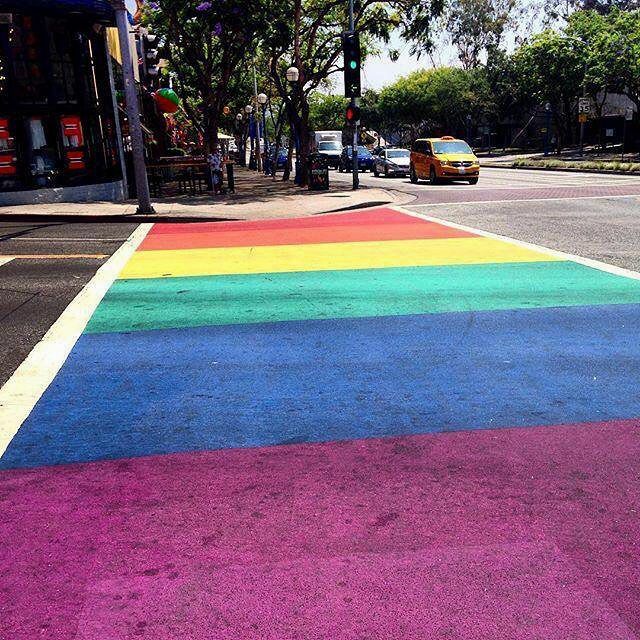 West Hollywood, colloquially referred to as WeHo, is a city nestled amidst the city of Los Angeles. Known for its iconic Boystown, high-end shops and rooftop pool party scene.